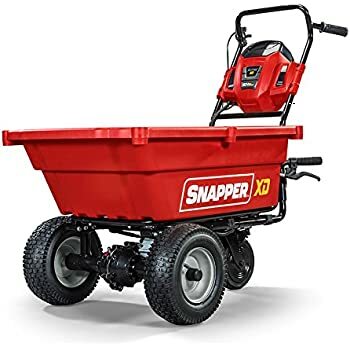 Lithium-ion battery powered Snapper Products offer powerful and reliable gas-like outdoor power equipment without sacrificing power and performance. 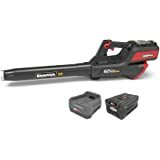 The 82V Max* system has multiple tools in each that were designed to allow for the use of one battery to power each complete system. 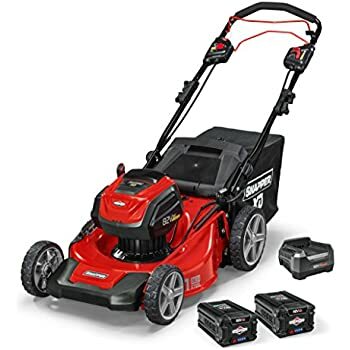 The Snapper XD 82V Max* 21” Cordless Self-Propelled walk mower powered by a 2Ah, 4Ah or 5Ah Briggs & Stratton Lithium-Ion Battery is built for durability and ease of use. 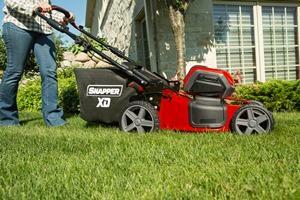 The 21” self-propelled model features a steel 3-in-1 mowing deck, providing mulch, side discharge or bagging options. 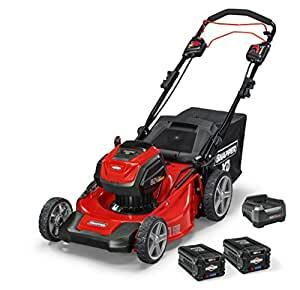 Get the job done quickly by being able to mow up to 45-minutes** with a 2 Ah battery (additional run-time available with separate 4Ah or 5Ah battery). Compact vertical storage capability allows you to store your mower in tighter spaces. 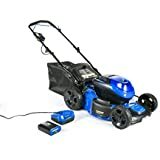 This quiet self-propelled mower is easy to use with a single lever height-of-cut adjustment allowing you to choose from 7 different cutting heights. 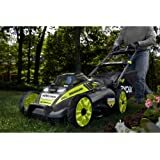 Features easy push button starting and requires less maintenance with the brush less battery motor operation. *Maximum initial battery voltage (measured without a workload) is 82-volts. Nominal voltage is 72. **Run time and output capacity may be affected by conditions. 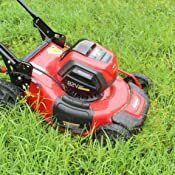 A long life, 1,000 or 1,200-watt high-efficiency brushless motor provides the power and reliability you need to mow your yard for years to come. 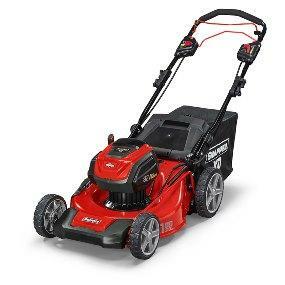 The 21" self-propelled model provides smooth operation, allowing you to control the forward mowing speed with the easily accessible speed control lever. 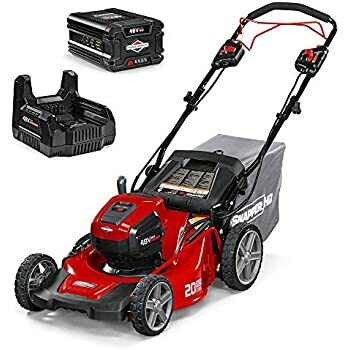 The push button start Snapper XD 82V Max 21" self-propelled walk mower features a durable steel 3-in-1 mowing deck, allowing you to mulch, side discharge or bag for up to 45-minutes with the included Briggs & Stratton 2Ah battery. The self-propelled variable speed transmission and load sensing technology make operation easier then ever before. 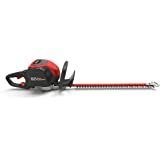 Effortlessly choose from 7 different cutting heights with a convenient single level height-of-cut adjustment. 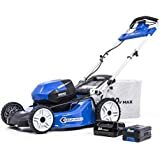 This quiet walk mower requires less maintenance and has vertical storage capabilities, saving you valuable time and space in your garage or shed. Maximum initial battery voltage (measured without a workload) is 82-volts. Nominal voltage is 72. 1. Battery life - I was barely getting 20 minutes with the 2.0 ah batteries. Yes, Snapper says up to 45 minutes, but that was not my reality. Plus, it takes 30 minutes to charge each battery so I had to change batteries before each one was fully charged. I was getting 10 minutes of battery life before it died by the time I was done mowing. And, my lawn was not even up to full growth yet! Very disappointing. 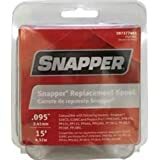 I asked Snapper customer service if they would give me a discount on the 4.0 ah battery, but they said no even though my current batteries were not getting anywhere near the up to 45 minutes. 2. The self-propelled mechanism is a good idea, but they really need to add something like Toro's personal pace system, which is sort of an auto self-propelled. The Snapper's system requires one to adjust the power/speed and the user to turn it off whenever one needs to back up or turn. That is pretty annoying when mowing around a house or other obstacles. 3. 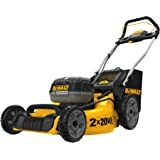 The mower is quite loud for a battery powered product. I was really surprised by the noise. Granted, this was my first battery powered mower, but I expected it to be quieter. That's it. I could have lived with items 2 and 3, but not item 1. 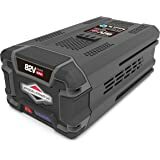 Battery life is important and I'd rather deal with gas, oil, spark plugs, etc., than change a battery every 10 or 20 minutes. I returned the mower and plan to wait a few more years until the technology improves. 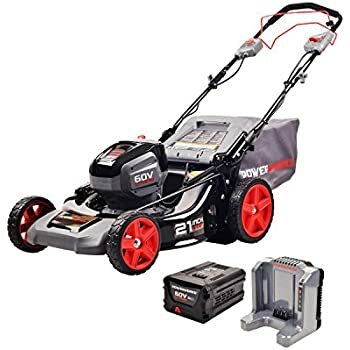 Note: I gave the mower two stars because I like the idea of a battery mower. I wish Snapper was more honest about battery life. 5.0 out of 5 starsWOW. This mower SCREAMS quality. 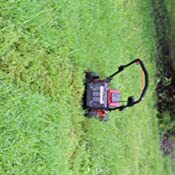 I was on the fence...Old Black n Decker cordless didn't have much juice left in it- battery wise, and required 3 or 4 passes when it did. 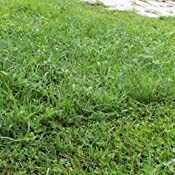 Had a combination of products for a few weeks to get the lawn mowed, including a weed whacker attachment- which actually worked pretty good! Real narrow cutting path tho. 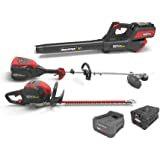 Anyway, looked at ALL the cordless ones on Amazon..even considered a corded. Read a lot of reviews. 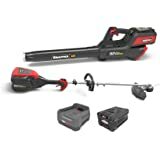 Was looking for cordless, powerful, and multiple batteries. Found something to dislike in ALL the others..Greenworks, Ego, etc... One looked real good but availability- a few months..?? Really? Summertime here... Very few reviews for the Snapper- but all good. Onto the actual review. 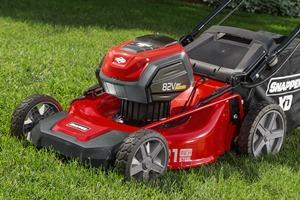 First off, everything about this mower SCREAMS quality, and durability. Batteries??? OMG. I am wondering if they're not actually ZPMs from Stargate Atlantis! For those of you who cannot appreciate the reference, suffice to say, they are a very good size, and have a real good quality heft to them- along with a little button to show you how much power is left. There are two of them, and they charge in less than 30 mins. Use one up, charge it while you use the other, or weed whack, or take a break. Choice is yours. And btw, the battery does not slowly lose power and then slowly taper off to a barely spinning blade: It goes full strength until it's depleted. I really like that. The whole mower part is quite sturdy, metal mostly, and feels really good. Good weight to it, though I had no difficulty at all turning it on its side to clean out the grass debris. 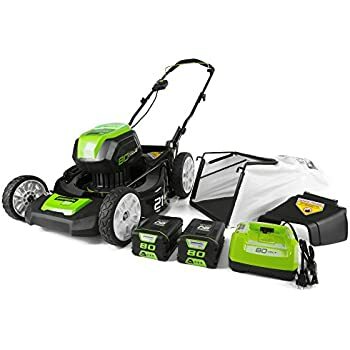 I went into this purchase expecting it to be excellent at mowing- thinking in the back of my head that SOMEHOW I was still going to wind up disappointed. 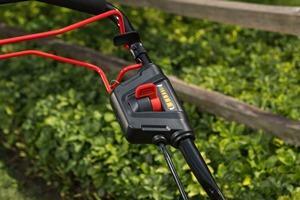 I was wrong: It cuts excellently, powerfully, and equals the quality of a gas mower. 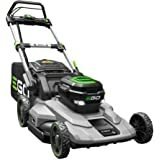 It FEELS like a gas mower. It feels GOOD. I was laughing at a few reviewers who said they were looking forward to mowing their lawns....now I know what they mean. 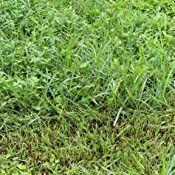 I did not use the included bag, so in a few spots I was mowing over grass debris, and had a few grass hairs sticking up- but I would expect this from ANY mower, and am not disappointed. Did the whole front yard and part of the backyard on the first battery, and I am particular. I should have taken pictures of my backyard...lotta weeds, thick stalks, and weed bushes. The Snapper absolutely DESTROYED them. Keep in mind that the low setting IS pretty low. You might want to start off at the second or third lowest setting and see what your cut looks like. Very little assembly (just look at the included pictures on the instruction diagram if you are unsure of the hard plastic locking arm things). It's pretty quiet also. 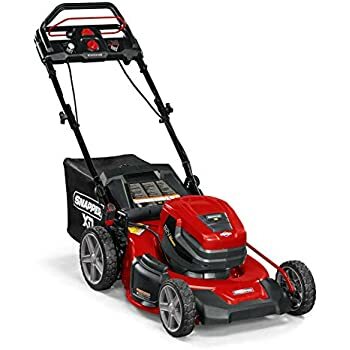 As I was finishing up my mowing the other day, my neighbor across the street pulled out his gas mower and "annoyed" me with all the noise and the stink of gas fumes. None of that here. I am very, very pleased with this purchase.